Train in style, in the Nike Distort Ladies Tank Top in a Black and White colourway. 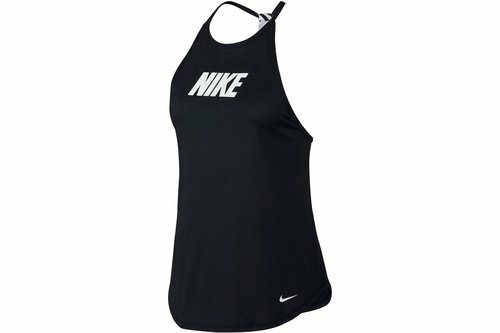 This tank top from Nike is crafted with a dropped, curved hem for fuller coverage. The racerback provides freedom of movement, and the loose fit gives breathability and movement. A Nike Swoosh logo and Nike branding creates a sporting fit.